Green tunic is an outfit in Legend of Zelda. Many fans were interested to know if it’s in Zelda Breath of the Wild, so we set out to look for it. Unfortunately, we haven’t found it. We’ve found several of them – older ones unlocked through Amiibos, and a new one, called The Tunic of the Wild. We also found a way to customize armor, which allows you to paint a regular tunic green, and pretend it’s one and the same. In this guide, we’re going to show you how to get Green Tunic in Zelda Breath of The Wild, how to customize outfits. 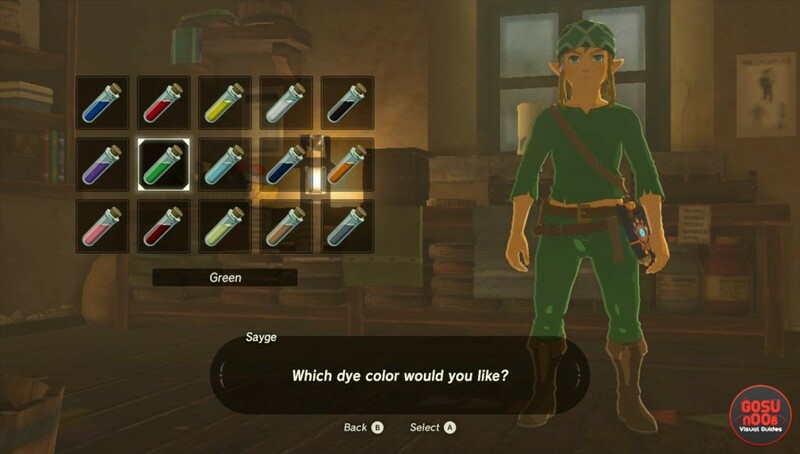 It turns out that Zelda Breath of the Wild does have its own unique green tunic, after all. It’s different from the ones that came before, but it does play the part. It’s called The Tunic of the Wild, and thankfully, it’s not tied to scanning amiibos. You can get it by clearing all 120 shrines. It seems the actual Green Tunic of old can be unlocked only through Amiibos. Thankfully, you can repaint pretty much everything. Just pick a combination with the appropriate form, take it to the dye shop and turn it green. It’s cheap and easy, and no one will know the difference. Select the armor combination you want to repaint. They’ll repaint everything you’re wearing at the time. Choose the color you like – there’s a preview, so you’ll know the outcome before you commit. Select the ingredients to give them in order to make the pigment. The ones that can be used will be highlighted. Pay a 20 rupee fee. Wrong. Tunics including ocarina of time, wibdwaker and twilight princess tunics and hats are all in the game. If you did a little research before writing this you’d have found out. They were found in the gsmes files including icons but not sure how to obtain them yet. You should do your own research because all of those are unlocked via special amiibo. They are in the game but you have to dish out extra money for them and can’t be obtained otherwise. Iconic green tunic as such is not obtainable and the closest you will get to it is the completing all shrines reward. While true, if you beat all 120 Shrines, you can get the old school attire.